Book a 1 week rental and receive 50% off your 7th night. 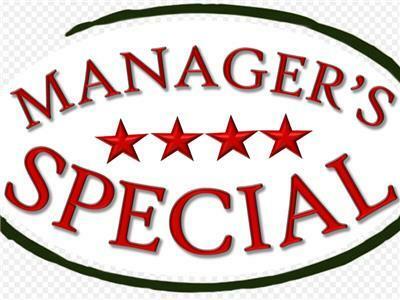 Discount automatically applied. San Luis Obispo County blog staff writer Sarah calls Lakefront at LandsEnd a real hidden gem. Read the full story of her experience at LandsEnd http://www.slocounty.info/blog/a-gem-at-lands-end. 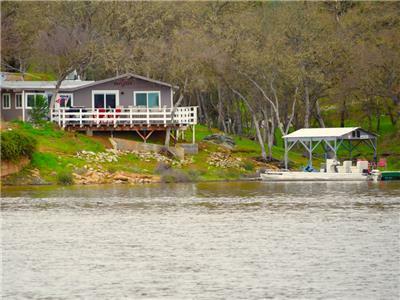 Lake Nacimiento vacation cabin rentals in central California are available on a weekly rental basis. You can rent one or you can rent all seven houses. Renting all houses provides your group with the most secluded and peaceful experience Lake Naci has to offer. 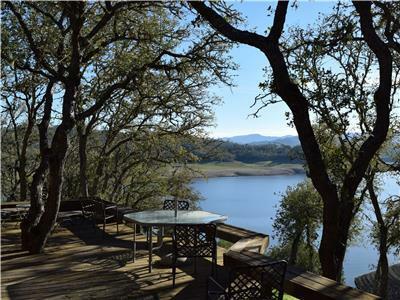 This property was recently purchased by a group of close friends with the intent of offering lakefront cabins and houses to people who enjoy loving, laughing and sharing the joys of outdoor activities on Lake Nacimiento. 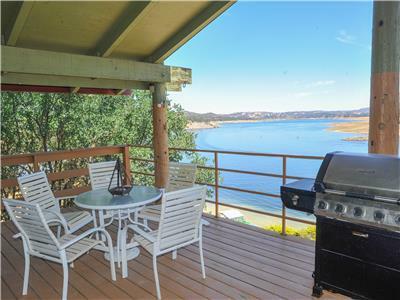 Enjoy your vacation on this one-of-a-kind lakefront peninsula Our Lake Nacimiento Rentals provide excellent access to outdoor adventures creating a fun and safe atmosphere you and your children will remember forever. 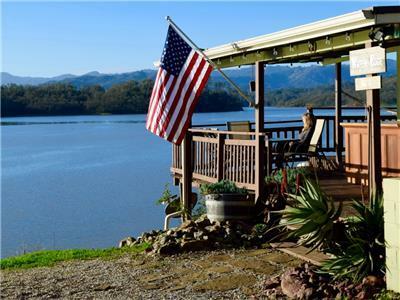 On our exclusive vacation rental property, we offer private boat docks, lakefront cabins, and lakefront houses on the central part of Lake Nacimiento. Lake Naci is known for great fishing year round. Even when the lake water is as low as 20%, the water level on the main part of the lake in front of our rental property is still up to 60 feet deep. While low water levels scare many visitors away, it means virtually a private lake for those that stay at our vacation house and cabin rentals. LandsEnd vacation house rentals is 20 miles northwest of Paso Robles, which is on the Central Coast located between Los Angeles and San Francisco. The drive to the rental cabins takes you through the beautiful wineries of the Central Coast. Once at the cabins, you are a short distance to many local activities, including wine tasting, boating, fishing, water sports, local wildlife and much more. Call us today and reserve your lakefront vacation house or cabin on Lake Naci.